Helen Ruth Hornback was born August 20, 1929, at Howe, Oklahoma, to William Paul and Flora Oliver Epley. She died Tuesday, December 4, 2018, in Tulsa, Oklahoma, at the age of 89 years. Helen completed her secondary education at Howe and was a graduate of Howe High School. She was married August 7, 1948, at Waldron, Arkansas, to Dudley A. Hornback. She spent most of her working life as an executive secretary with Great Southern Life Insurance Company in Houston, Texas. She and Dudley moved and made their home in the Keetonville, Oklahoma, area in 1984. 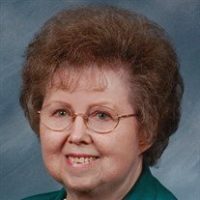 She was a longtime faithful member of Hilldale Baptist Church in Keetonville. Helen enjoyed a variety of pastimes, especially painting. And a host of nieces, nephews, extended family, her church family, and many friends. She was preceded in death by her parents and her husband, Dudley Hornback.